Excellent flying carpet ride while it operated. This one traveled very quickly and had great air going over the top and good Gs coming down. The cycle was decent as well and the ride looked great. An excellent flatride, with good airtime, but bad whiplash. The theming on the carpet and station is quite intruiging. Its really too bad that this will be removed to fit in Cosmic Chaos, probably due to matinence. I hope that everyone joins me in bidding fairwell to a truly unique and exciting flatride. So long, Flying Carpet! A well run Flying Carpet with a decent ride cycle and it runs at a fast pace creating good pops of air. Ill give the same words of warning as with Volcano - be aware that the seats could be wet from riders riding right after getting off the nearby King Kahuna. Dude!!! This thing is great! this has some trully excelent airtime! It went so much faster than I expected, too! Why dont thy have more of these things!?!? This ride is pretty cool.It gives you a nice view of some of the park.And the tickle tummy is great.And the lines are never very long.A great ride. Fun ride. It is run at a good clip, and offers some nice airtime. I like this type of flat ride. 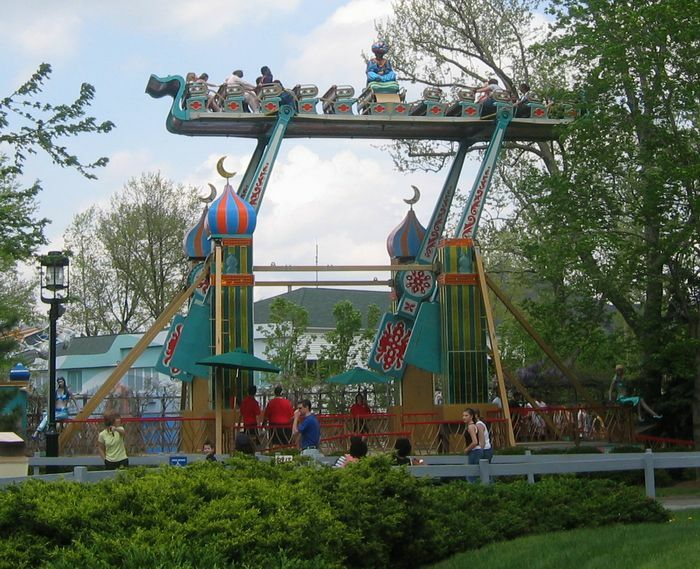 Kennywoods version, Flying Carpet, gives a good ride and does give that "tickle" feeling as PhantomNik said. 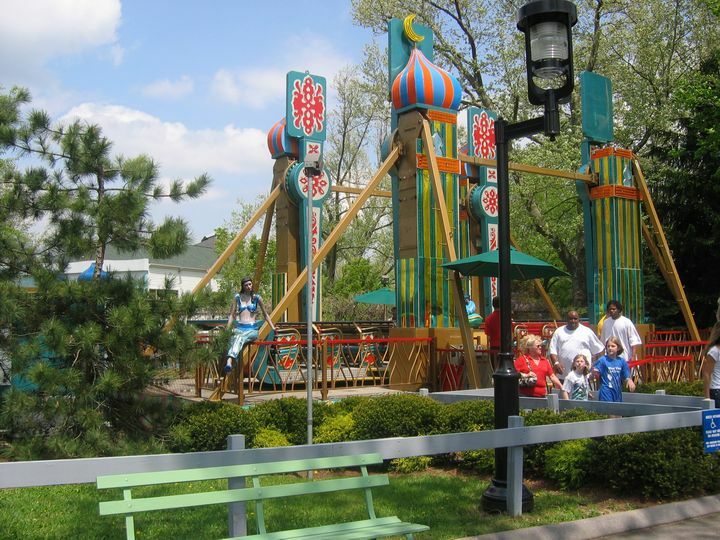 A quality flat (one of many) at Kennywood.